To better understand why that is and what the risks are for all us freedom-seekers out here, I believe we should begin at the end of the journey. We should begin by understanding the nature of a magical current - the living force any priest or priestess subdues themselves to. The concept of magical currents is a strange evolution of what was once simply called the power of the gods. Today the term is often referred to vaguely yet rarely defined. At closer look it turns out to be a blend of Jungian psychology and Sheldrake’s morphogenetic fields: the idea that raw power lies in potential waiting to be evoked and directed by the magician. If contact can be maintained over time it results in an active current of occult force which can be accessed through specific symbolic gates. Once stabilized this magical current, however, is not only shaped by the ones who maintain it but shapes them in return as well. The exchange of forces, the process of formation always is mutual. Thus a current of magic begins to form its own line of tradition over time - generating a trail of priests and priestesses all formed and shaped by its inner pattern which had been created or re-evoked by the first magician of its line decades or even ages ago. Now, wether the idea of a magical currents simply is a mental construct and we should speak more accurately of the influence of the living gods and goddesses is of no matter here. It is a question of paradigm and of critical importance for the type of magic we aim to practice. Yet, for the topic at hands our focus is a different one: Wether we create contact to a living god or magical current, the type of contact will always be mutual. Powers are passed on in both directions. This is an essential principle of all organic life-forms. Once they touch each other the touch is mutually felt. Intensity of impact might vary, one might pass on a spark and the other a rush of flames, yet powers flow in both directions always. Here is an example I recently came across in the marvelous writings of Herbert Fritsche: Think of an autumn leave falling to the ground. Once the rain sets in it washes through the decaying structure of the leave, freeing its active components and washing them into the soil. By this process each autumn the earth is strengthened and regenerated through a huge infusion of natural tea all washed into its soil and roots and over its rocks and into subterraneous streams. And while changing the nature of the soil, the leave in return is changed by the earth. It is changed so essentially that next spring none of it will remain. The touch, the contact and exchange of forces was mutual - even though completely different in degree and impact. While the leave was dissolved completely, its forces helped the soil to dissolve tiny particles of itself only. The same is true when we work with strong magical currents: Some of our own forces are washed into them and become absorbed into the reservoir of power that maintains the current. A part of us is given up to the stream - and by taking from us the current fills the hole left behind with itself, thus changing the makeup of our own inner spiritual bodies. Think of the process of diffusion - two substances will mix with each other until they have leveled their concentration completely at all points in their field of mutual contact. This is pretty much what happens if we over-expose ourselves to a magical current. The only problem is the disproportion of forces: compared to a strong magical current our own personalities are like a pinch of salt thrown into the sea. Or like a leave on the autumn ground. So the essential principles is this: For every boundary we solve we introduce a new dependency. Every agent of change that we apply to our lives will leave a mark on us. Nothing comes for free - or in other words: Nature wasn’t designed to create freedom, but to foster continuos exchange and cross-pollination of forces. The concept of evolution genuinely depends on as many forces as possible constantly connecting, exchanging and penetrating each other. Innovation, creativity and variance can only emerge from a field of diversity and interconnectedness, never from the black hole of isolation. Freedom therefore - defined as a closed field of control and self-regulation - is an idea born in the human mind, not in the soils of earth. It is born from the Promethean vision of becoming God-like as humans. Rather than to participate in a field of interplay and mutual growth and decay, to harvest these forces for ourselves, to swallow and incorporate them within our own boundaries, until we become all that remains. What we find here is a perversion of the Hermetic principle of microcosm and macrocosm or even of Crowley’s saying every human being was a star. For they didn’t postulate that the microcosm should turn into the macrocosm nor that every human should strive to become the only star. Man’s ability to consciously close off contact, to willingly retreat and create a state of self-absorption - or freedom - is a chalice filled with both the poison and the antidote against the very nature of creation. The planet we inhabit and everything that dwells in it is built on interconnectedness. 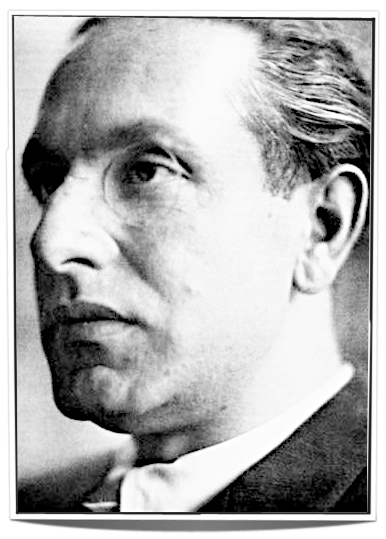 Julius Evola once famously said: ‘Nature produces only silver; to produce gold one has to apply huge forces for long periods of time and push nature beyond its average boundaries.’ What he meant with this in alchemical terms is that in producing gold Nature produced an exception from itself... Trying to achieve a state of full liberation means applying such force continuously to our lives. Trying to live life free of any masters means isolating us from what holds our biggest promise. Each organic being sets out to life a live in service, to find its place amongst the beings that surround it. It is the curse and the blessing of us humans to not been given a single place - but all of them to choose from. The opposite of living in freedom might be perceived as living under the guidance of a master? Accepting one’s position as a student, being touched and changed and formed by the influence of a specific person takes a huge amount of courage to accept. Actually, living as a student to a master is the classical interface how magical currents have been passed on for millenials. The master in this case represents not necessarily another fellow human being, but more generally any living agent of the line of tradition a being was once initiated into itself. As we have seen from the above by exposing ourselves to such contact we not only gain new shape and forces, we also give up significant parts of ourselves... It is our master who is the force we feed and by feeding it we turn more and more alike. Each piece of ourselves given up is replaced by a piece of the master's force instead. The extent to which our master also teaches us how to withdraw from the current he represents is the question that determines wether we end up as an empty shell or as a living priest. Wether we simply feed or rejuvenate the current we work in. Now, in using the term ‘master’ in this context we need to think of it much broader than only other fellow human beings. The role of a master can be assumed by anything we dedicate ourselves to. Each living shape or being can become an interface to a specific pattern of power that resides beyond it and upholds its forces of existence. That is why a single animal can connect us to an entire field of totem power, that is why a single plant can unlock the gates to the entire herbal consciousness stored in it. That is why Noah only needed to take two beings of each life form into his ark. Every living shape or form or being become a master. We rarely understand - let alone see - the vast fields of knowledge and wisdom and power we are constantly surrounded by. It is us who need to chose. One of the biggest choices we get to make in life is this: Which masters do we chose to expose ourselves to? Maybe think of your life today: Which masters are you accepting right now? From which sources is your life currently being fed? And what do you feed in return? How long have these relationships lasted - and are they still in balance? Are you the sea or the pinch of salt? Are you the leave or the soil? Are you turning into a shell of a current or into its living priest? Each time we spend under a particular master has its shelf-life, a beginning and an end. How consciously we perceive these relationships and where we are in them, determines to a large degree how far we will advance in life. It determines wether we will get stuck under a single master - or wether we will pass on from one to another. Just like a piece of wood in a carpenter’s workshop passes on from the master of water and being washed, to the master of the saw and being cut, to the master of the plow and being smoothened... Only that in our lives there is no carpenter in the workshop - except for ourselves. We have to learn to apply these tools to ourselves. That is the art of living under a master. I guess what I am trying to say is this: Freedom is heavily overrated. Especially in magic and many occult traditions. Freedom is just a tool - ideally to end existing contact and to consciously chose the next one. Freedom is what allows us to never get stuck, to change our place, to move on. Yet it is useless if we do not have the courage to settle into a new place and being bound again. A piece of wood that is afraid of the plow or saw or water will never be able to change itself. It will remain beautiful as untouched wood naturally is. But it will never unfold its potential. In accepting no human master above himself Paracelsus subdued himself to all the masters that would help him stay free of any human bounds. By dissolving one boundary, we create another. By using one current to solve aspects of ourselves we become filled by its forces instead. Everything we touch in our lives touches us in return. There is no state of freedom in nature - except for the short moments when we transition from one master to our next. Nature is apprenticeship. We only get to choose where we learn.